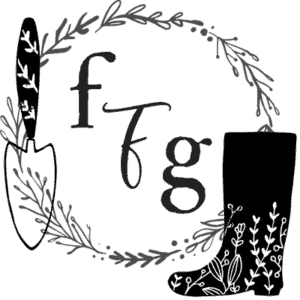 Even if you have a large garden outside during the summer, indoor gardening gives you fresh greens or herbs inside during the off-season winter months. 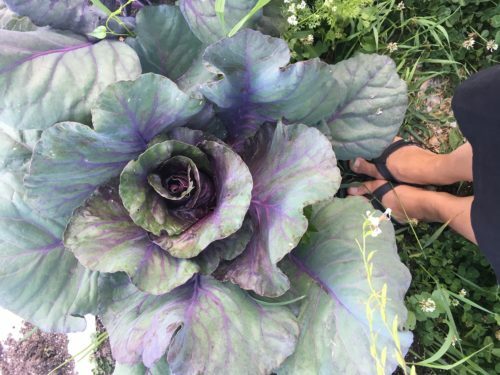 Indoor gardening has some major bonuses too! We started indoor gardening with herbs in pots of soil. Then added a mini greenhouse to start seeds in the springtime with some indoor grow lights (we use the sunblaster ones) which as a nice step up for indoor gardening. 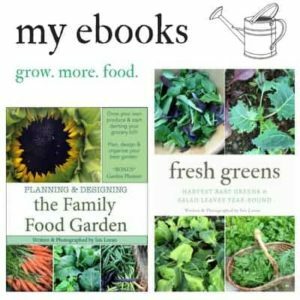 If you want to grow super easy and basics growing microgreens is a great start for beginners too. 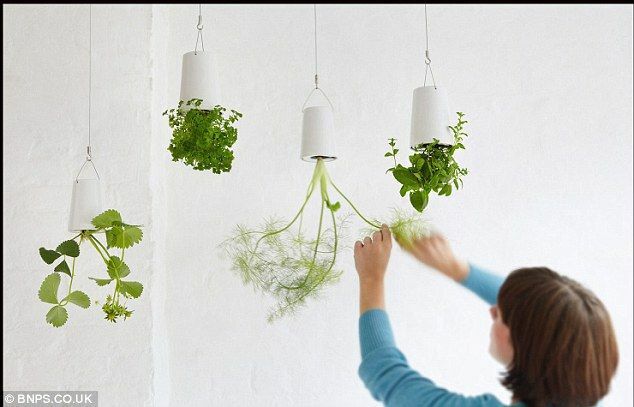 Thanks to modern technology and new innovation, there are some really neat indoor gardening ideas too! 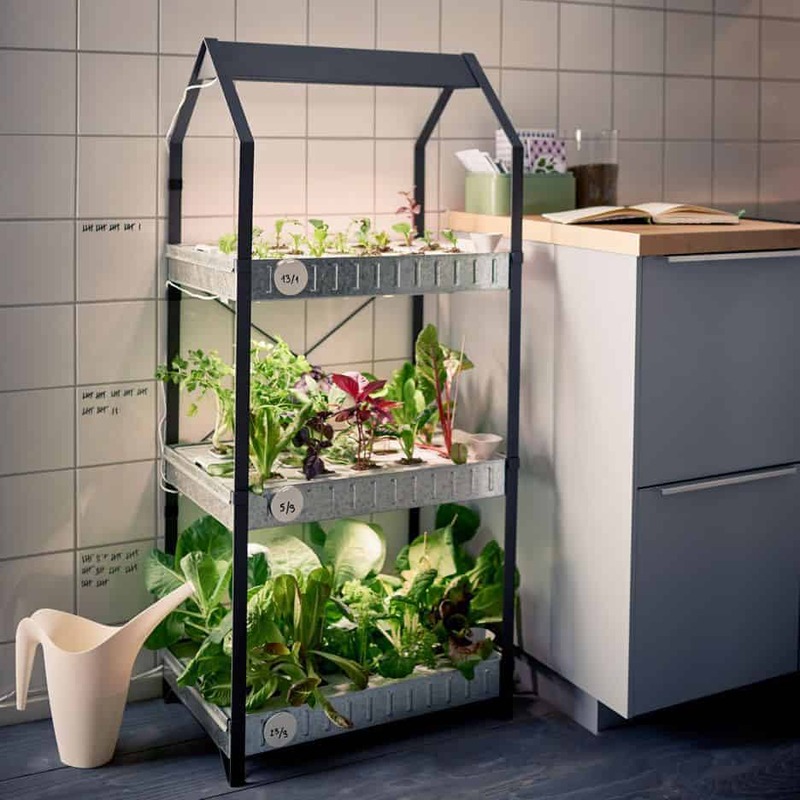 Today’s post will be full of ideas for growing food inside, from simple to some hydroponics. 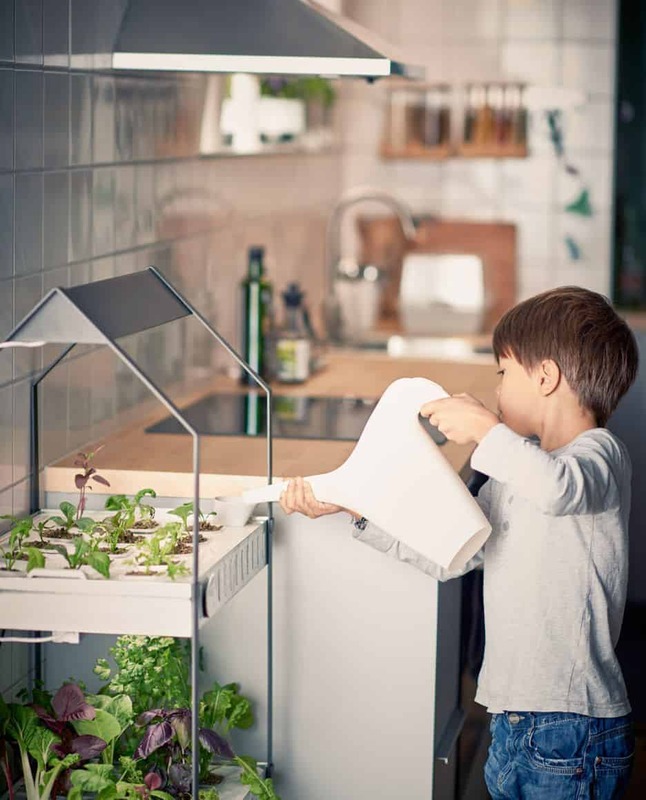 I’ve also written a whole post on indoor herb garden kits, which come with everything you need to grow herbs inside. 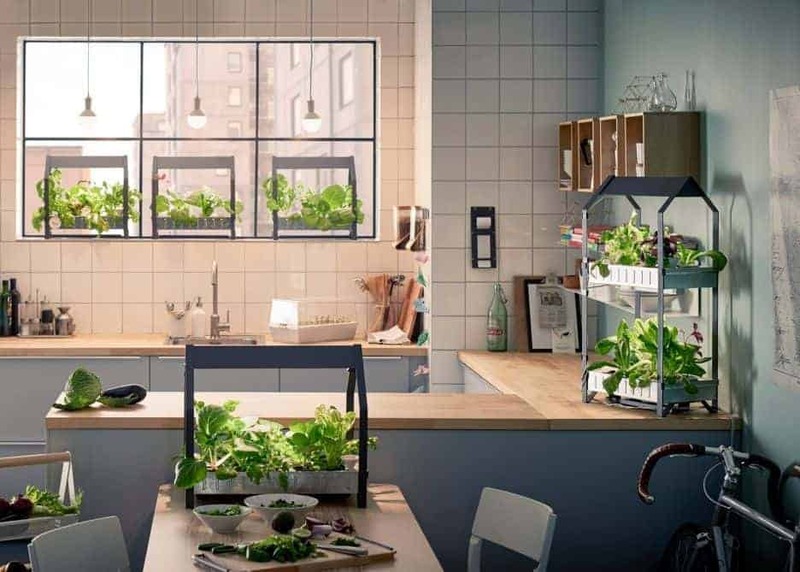 The type of Indoor Gardening you’d like to do depends on your time and finances. 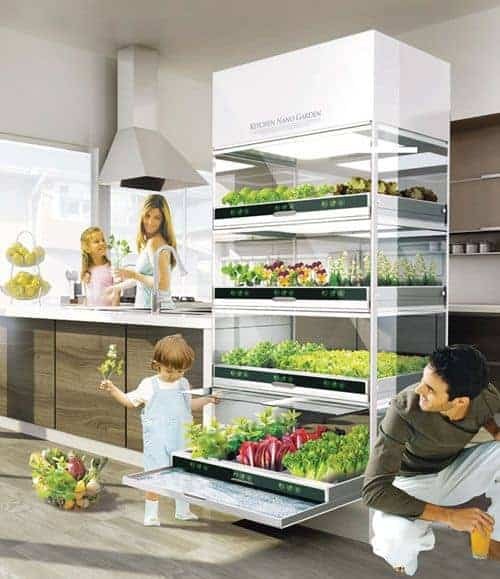 There are many basic ways to grow food inside like growing herbs in containers, to complicated indoor hydroponics like the photo below. You could even make a beautiful chandelier! 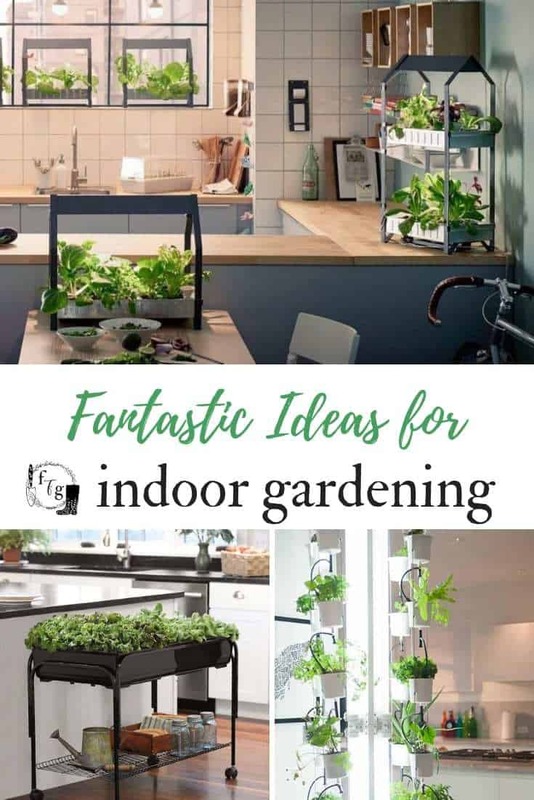 I hope this post gave you some ideas for indoor gardening. 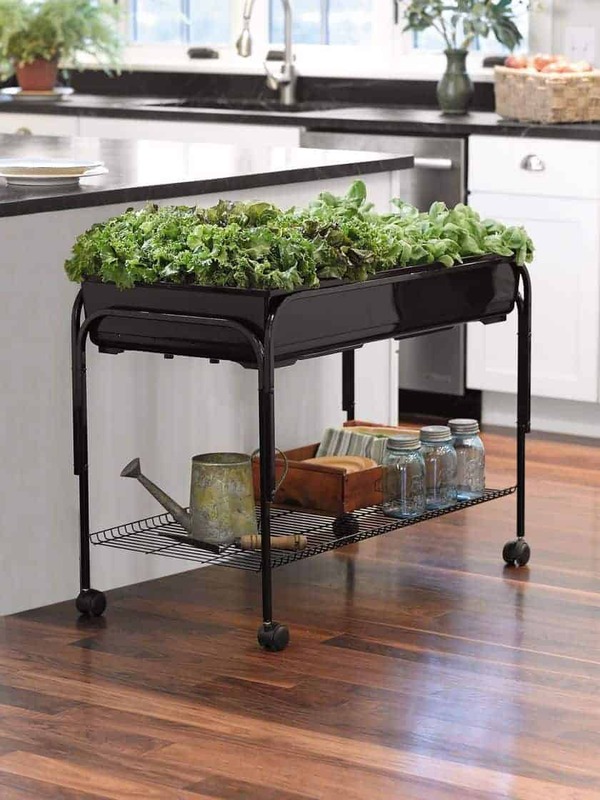 I think the best way to start growing food inside is to start with herb container gardening. Very interesting ideas! 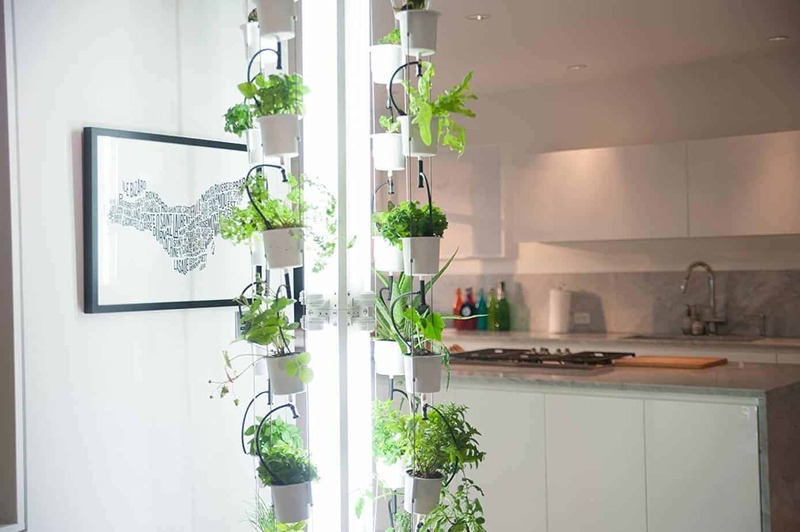 Would love to have more information on how to grow the upside down herbs and other plants. Where can one find the containers for this type of gardening. Can you please sign me up for your newsletters. Yes I’ll make sure you’re added to the next newsletter!